Looking ahead to round 5 which will be played on the 11th and 12th of November in group A Good Angels Kosice will look to get back in the win column against Familia Schio. After losing to dynamo Kursk by 20 points last round their work will be cut out for them against the Italian club who dominated Avenida. Luckily for Kosice they will be playing on their home court which is always a tough venue to play. This will be a true test to where they stand in the midst of this group where they currently sit in the middle of the pack. Will Good Angels pull off the upset? Dynamo Kursk will head to France to take on Villeneuve d’ Ascq. Villeneuve d’ Ascq will have to play a much better game than they did last round if they look to stand a chance against the very dominant squad from Russia. They will have their work cut out for them trying to manage Ogwumike, Prince, and Augustus. A little home court advantage may help to bolster their performance. Dynamo Kursk will look to keep their place at the top of group A alongside familia Schio who both have a 3-1 record. Kursk should win this one on the road. Fenerbahce will travel to Spain to take on Avenida. Avenida who took a beating last round against Schio will look to turn things around this round. 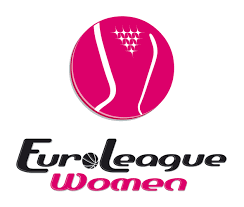 Their Romanian star Marginean will have to put a few more points on the board than she did last round if they want to keep pace with a very deep Fenerbahce squad. Avenida will be up for the challenge. Sopron will face another Turkish team this round as they take on Galatasaray. Sopron who has only won one game so far in the competition and are in 8th place in the group will face a Turkish team who will look to keep their place in the top half of group A. If Fenerbahce plays the way they played last round they should have no problem handing Sopron loss number 4. In group B newcomers Girona will face their biggest challenge of the competition as they go up against undefeated UMMC at home. Girona who hasn’t won since their historic first win will probably face defeat against the Russian squad who didn’t show well last round. Unfortunately they may take this disappoint out on the Spanish club. Hopefully it wont get too ugly. On the opposite end, Wisla Can Pack who have yet to find themselves on the celebratory end of a game will take on Bourges at home. Bourges who played a very good Orenburg team close last round will be a tough team to beat. Perhaps Wisla has had enough with losing and will fight their way to their first victory this round. Bourges who are not too far behind with just one win may be the team to beat. The most interesting matchup of this round of play will be Castors Braine against defending EuroLeague champions USK Praha. Castors who came close to beating the Russian powerhouse UMMC last round will have a lot of confidence going into this game. In addition, they brought in reinforcement with Doneeka Lewis at the guard position. Hopefully she will be ready to play. USK had a very convincing win against Wisla but that doesn’t count for much. This game will definitely be a hard fought one as they both have records of 2-2. Whoever wins this game will have a place in the top half of the group. Finally AGU Spor will travel to Russia to take on Orenburg. Orenburg has played extremely well this entire competition. Bonner, McBride and Robinson have all been dominate and they will continue to work to keep their spot atop the standings. AGU who are right behind Orenburg in third place will look to pick up where they left off with a win last round against Girona. If they want a chance to win on the road they will have to slow down someone out of the trio. I don’t see the Russian squad losing at home.